Welcome to the IGC Celebrities page! 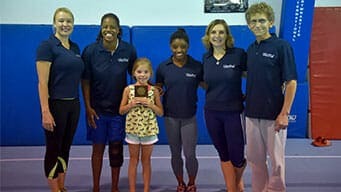 On this page you’ll be the first to hear about the latest celebrity announcements for camp, discover exciting news about your favorite IGC celebrities, and learn more about some of the world’s best gymnasts of yesterday and today. Keep checking back here, as we will have new and official celebrity announcements for Summer 2019 posted regularly as we get closer to camp! We’ve had the pleasure of hosting many wonderful celebrities in the past that you can check out below. 2019 celebrities to be announced soon! Check out some of the celebrities who have joined us in the past!